We dedicate this to all our customers and fans who made this happen. Celebrate with us on winning the prestigious CIMG award for MOTOR FIRM OF THE YEAR 2013! We will continue to deliver the models that appeal to you, genuine vehicle parts and of course improved services all year round. It is an honour once again to be a member of the 100 most prestigious companies in Ghana today.We are proud of all those who have made this possible- customers, employees, suppliers, management and shareholders. We cherish your diverse efforts.We say KUDOS to you all!!!!! The All New BMW 3 Series sedan was launched at the Movenpick Grand Ambassador Hotel. It was indeed a sight to behold with over 150 guests from the BMW family and across. The sixth generation of the BMW 3 Series Sedan, the world’s best-selling premium car, sets new benchmarks in terms of sporting prowess, elegance and comfort. For the first time, the all new BMW 3 Series models will feature BMW Twin Power Turbo Technology as well as offering enhanced driving dynamics; the turbocharged engines also significantly reduce fuel consumption and CO2 emissions. People told Gary Mueller that he should probably think about getting a new truck when his 2002 Ford F-350 Super Duty was nearing 300,000 miles. That was more than 700,000 miles ago. Today, Mueller says he has no plans – or reason – to retire the truck, even though it now has more than 1,020,000 miles on the clock. The reason, Mueller says, is that his F-350 maintains its durability, reliability and comfort, along with the special bond some truck owners seem to have with their vehicles. Mueller isn’t the only one driving a Ford F-Series truck with a lot of miles. 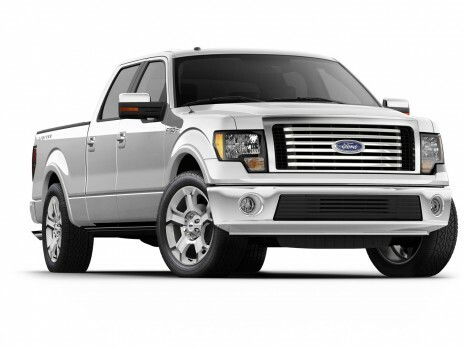 In fact, Ford has more full-size pickup trucks on the road with at least 250,000 miles than any other automaker. “Trucks like Mr. Mueller’s prove time and time again that Built Ford Tough is more than just a slogan; it’s a promise of proven durability and reliability,” said Doug Scott, Ford truck group marketing manager.